Feline calicivirus (FCV) is a major oral and respiratory pathogen of cats, able to induce subclinical infection as well as acute disease. It is also characterized by a high degree of antigenic variation. This work sought to address the question of the existence of distinct biotypes of FCV. Eight French, 6 British and 9 American FCV isolates, responsible for acute oral/respiratory disease or chronic gingivitis/stomatitis, were compared for their pathogenicity, antigenic profiles and serological relationships. Antigenic profiles were assessed by an indirect immunofluorescence assay with a large panel of characterized monoclonal antibodies. Cross-neutralisation assays were performed with specific cat antisera collected at 30 days p.i., then analysed by calculation of antigenic bilateral relatedness and dominance. Whatever their pathogenic origin, all the isolates induced an acute upper-respiratory tract infection in oronasally infected SPF kittens. Their antigenic profiles were different and did not correlate with their geographical or pathological origin. Cross-neutralisation studies and calculation of the mean bilateral relatedness allowed us to distinguish chronic original isolates from acute original ones. 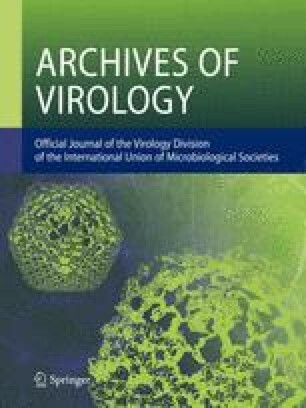 This study did not confirm the existence of FCV biotypes but showed that the chronic carrier state is related to the emergence of antigenically distant viruses.